Phillips says Infor can sell SaaS ERP to C-level and line-of-business execs without worrying about also selling databases and middleware to IT as Oracle and SAP do. Infor is going after cloud computing in a big way, top executives emphasized at an analyst event held this week at company headquarters in New York. And to sell mission-critical SaaS apps including ERP, the company is selling primarily to C-level and line-of-business executives, not IT. In contrast to its biggest rivals, Oracle and SAP, Infor "doesn't have an axe to grind" when it comes to needing to sell its own data infrastructure products, said CEO Charles Phillips. Formerly president of Oracle, Phillips and several of his lieutenants at that company came over to run Infor four and a half years ago. "It's harder for those guys to say, 'We're going to move our customers to the cloud' because things like databases and middleware become their cost," Phillips said, whereas Infor doesn't lose that profit when apps move to the cloud. Yes, there are conflicts of interest at the sales level at Oracle and SAP, but I'd observe that both companies long ago recognized this and put appropriate cloud financial incentives in place, both for salespeople and customers. Oracle's Customers 2 Cloud program, which lets customers shift maintenance fees to cloud subscriptions, is a case in point. Infor's cloud apps runs on Amazon Web Services (AWS) using open-source infrastructure software including Docker containers, PostgreSQL database, and the CentOS (Linux) operating system. That's the SaaS architecture, but if customers want single-tenant (rather than multi-tenant) instances on AWS, they can have their choice of databases, middleware, and operating systems from the likes of Oracle, IBM, and Microsoft -- albeit at a higher cost. Infor still sells on-premises software upgrades, too, but last quarter the company reported 37% growth in software license bookings and SaaS subscriptions, though the SaaS-only increase was said to be 600%, according to company execs [Author's note: the article originally stated these were revenue increases, but Infor says there are bookings plus SaaS subscriptions]. 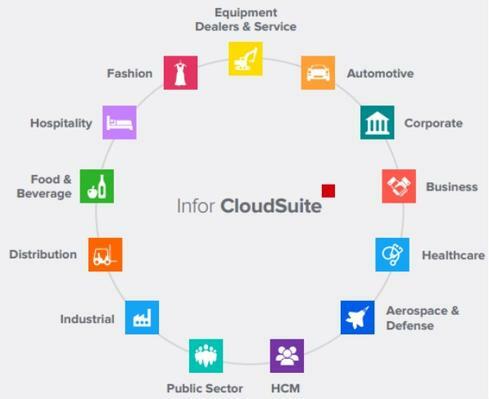 The Infor CloudSuite includes CRM (with roots in Epiphany) and a fast-growing Human Capital Management app (gained in the Lawson/Enwisen acquisition), but the latest push is on "micro-vertical" SaaS ERP services for the fashion, hospitality, food & beverage, healthcare, aerospace & defense, and automotive industries, among others. These specialized SaaS apps enable Infor to support industry specific needs through configuration settings rather than custom code that would break in a SaaS upgrade, executives said. The company reports it has more than 2,750 SaaS customers, including at least 1,600 that have converted on-premises licensed software to cloud apps through an UpgradeX program introduced in 2013 [Author's note: This story originally said "100 customers," as publically stated by one executive at the event, but an Infor spokesperson said the correct figure is 1,600.] The company tells InformationWeek that 25% of those 2,750 customers are using mission-critical ERP or financials SaaS apps (though I suspect financials accounts for the majority of this 25%). The other 75% use "edge" SaaS apps such as CRM, HCM, enterprise asset management, configure-price-quote, product lifecycle management, and supply chain management. As with other SaaS apps, the appeal of these cloud services includes always being up to date on the product's latest features and innovations as well as getting away from the rigors and expense of running IT infrastructure and apps. That message appeals to C-level and line-of-business executives who usually lead the decision to move into the cloud. "We're saying, 'stop paying us, say, $100,000 a year in software license maintenance and instead pay us $200,000 or $300,000, and we'll take the systems-management problem off your hands," said Stephan Scholl, Infor's president. "In the bargain you'll get all the infrastructure you need [from Amazon], plus our IoN integration layer and Ming.le social platform." Some CIOs protest and say they can run the software at a lower cost, said Scholl, "but they generally grossly underestimate their true cost." What's more, security provisions and safeguards on Amazon are generally much better than those on-premises, Phillips argued. "Businesses often have no idea what their IT staff is doing from a security perspective," Phillips said. "If you look at all the major [security] breaches, like at Sony and so forth, it has been internal IT." Oracle and SAP, too, are talking up their opportunity to make more money through SaaS while providing customers with better-run, highly automated, more secure, and lower-TCO applications. On this point, Infor's position is not unique, but the company is differentiated in using AWS, the biggest and among the most capable and lowest-cost public clouds available. Phillips said the scalability and performance of Amazon infrastructure and services have helped Infor become a lab for big data innovation. For example, Infor's chief scientist, Ziad Nejmeldeen, outlined four examples of applications where the company is working on data-driven optimization, including intelligent lead scoring in CRM, price elasticity and product mix in financials, inventory optimization in procurement, and vendor optimization in the supply chain area. Infor said its co-innovation work with one hospital reduced costly drug and surgical supply inventories by 25% without hurting service levels. Phillips again touted Infor's independence from infrastructure agendas as an enabler of data-driven innovation. 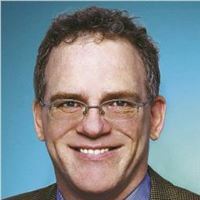 "Putting everything in an in-memory database [like SAP Hana] is a constraining architecture and a bad decision because not all data needs to be in memory," Phillips said. "Amazon gives us a massive supercomputer in the sky, and we're using its Hadoop and Redshift services and specialized data stores as needed. So much is changing around data architecture, and all the vendors that are innovating are coming to us because we don't sell [competing] infrastructure." Infor's biggest stumbling block to winning more cloud business is name recognition, executives said. But between new ad campaigns in major airports, and The Wall Street Journal and its sleek new Silicon Alley headquarters in New York, where C-level execs are said to be regular visitors, Infor is raising its profile. When Infor can tell its story, it talks up SaaS options, upgraded apps refactored to run in the cloud, and modern, mobile-friendly interfaces. It's a nice story, but there are years of execution ahead before the company's base of 70,000-plus (often conservative) customers on dozens of acquired legacy on-premises ERP systems might be ready to go along with Infor's plot line. "If we can move 5% a year, we have a multi-billion-dollar opportunity," Phillips concluded. 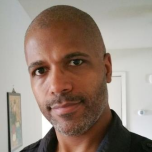 Attend Interop Las Vegas, the leading independent technology conference and expo series designed to inspire, inform, and connect the world's IT community. In 2015, look for all new programs, networking opportunities, and classes that will help you set your organization’s IT action plan. It happens April 27 to May 1. Register with Discount Code MPOIWK for $200 off Total Access & Conference Passes. Author's note: I asked Infor for clarification on the comment on growth and it turns out I got the stat wrong. These were quoted as software and SaaS subscritpion BOOKINGS increases, not revenue growth. I have corrected the story and noted the change above from the original. The link to the 10Q is informative, so I appreaciate you sharing it. Infor is still private, but debt issues apprently require SEC reporting. Infor revenue was down, as noted, in the last quarter, while over the last nine months revenue was up about $23 million on a base of about $2.1 billion (just over 1%) over those three quarters. That's not as robust as the quoted bookings trends would seem to suggest. 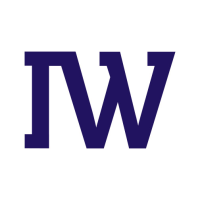 "last quarter the company reported 37% growth in software license revenue as compared to 600% growth in SaaS subscriptions, according to company execs." According 10-Q, Infor's software license fees and subscriptions revenue in the last quarter fell from $ 132.4 million to $ 129.2 million, an decrease 2.4 percent.